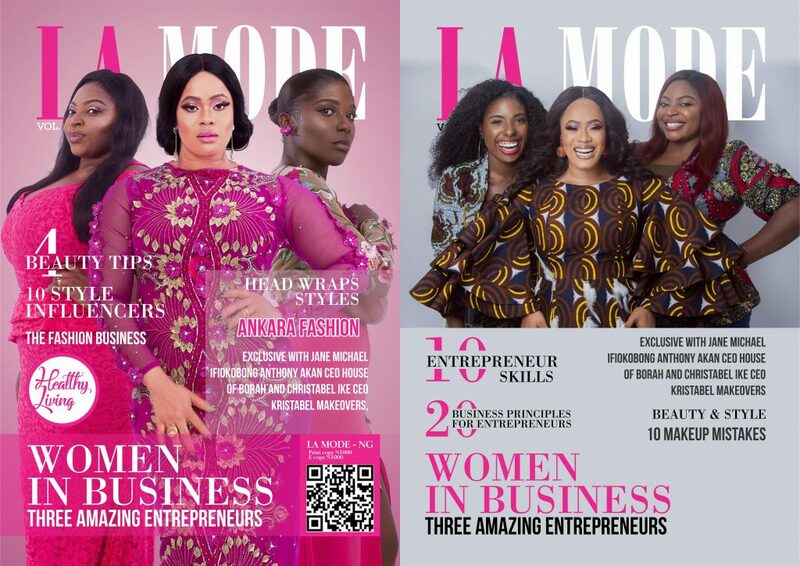 La Mode Magazine April Edition (29th Issue). 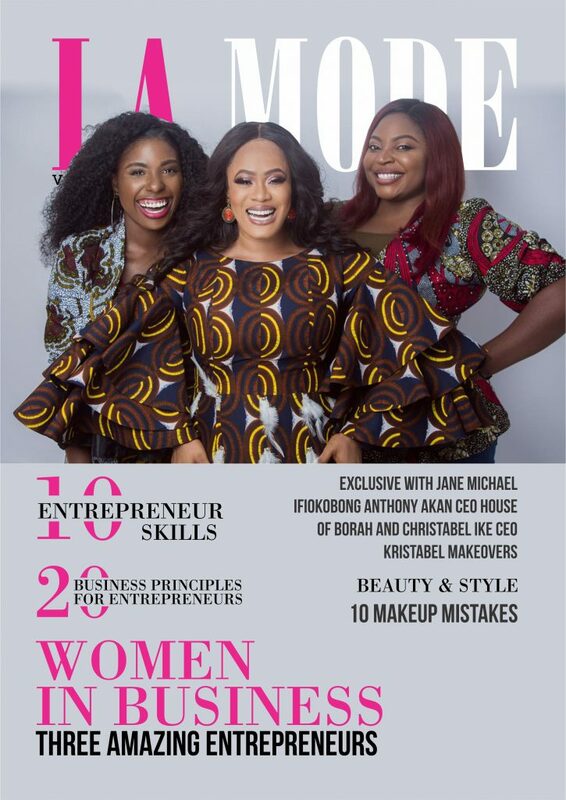 Women in Business-Three Amazing EntrepreneursFeaturing Jane Michael, Ifiokobong Anthony Akan CEO House of Borah and Christabel Ike CEO Kristabel Makeovers. 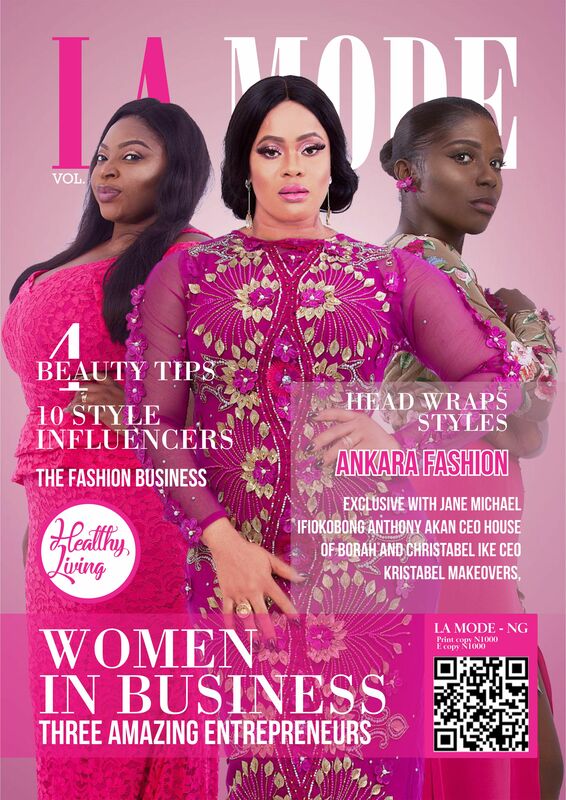 This edition is aimed at celebrating women entrepreneurs in business.